Today, Born Free USA, a global leader in animal welfare and wildlife conservation, announced the completion of the second annual Born Free USA Fur for the Animals campaign: a four-month donation drive that collected 392 fur items from around the world to distribute to U.S. wildlife rehabilitation centers, where they will be used to comfort orphaned and injured wildlife. 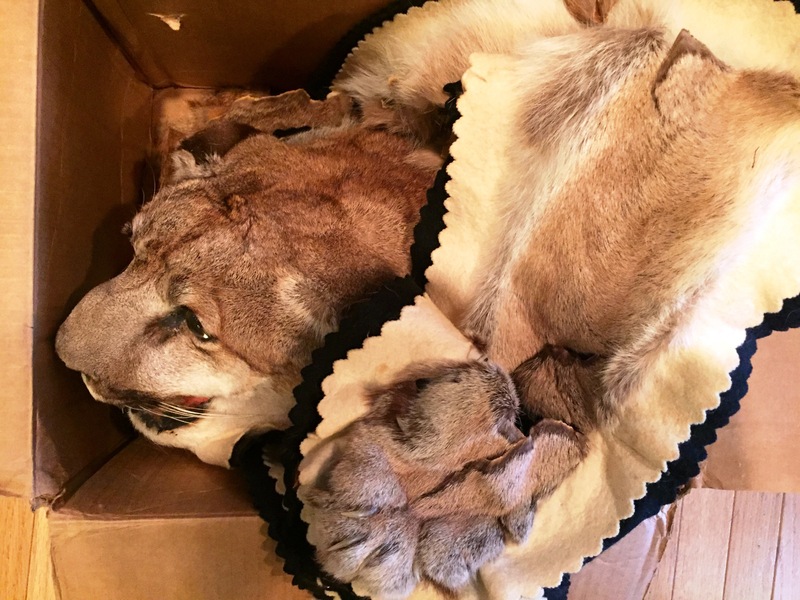 This year, the organization not only received fur coats and fashion accessories, but also a variety of other objects including a mountain lion, bison, and zebra hide. The office now has more than 750 pounds of donations, estimated at $750,000, representing approximately 12,000 animals who died for these products. While the majority of donations were mink, rabbit, and fox, Fur for the Animals received several surprising, disturbing items. Among them: a child’s fur teddy bear, and hides from white-tailed deer, bison, and zebra. Most shocking is a tattered rug made from a trophy-hunted mountain lion, including the claws and head. “When the box with the lion was opened in our office, we were all truly devastated. While the lion rug is too torn up to be of use to a wildlife rehabilitation center, Born Free USA hopes it will serve as a compelling reminder to all who see it that such ‘trophies’ are not glorious, not beautiful, and not a celebration of wild animals in any way,” Roberts explains. Beginning next week, Born Free USA will send the donated fur to wildlife rehabilitation centers gearing up for the spring wildlife baby season. While most will be sent as they are for the rehabilitators to turn into the sizes they need to help their animals, some items have already been turned into blankets and pillows, thanks to the generous volunteers of Girl Scout Troop 5051 in Maryland. 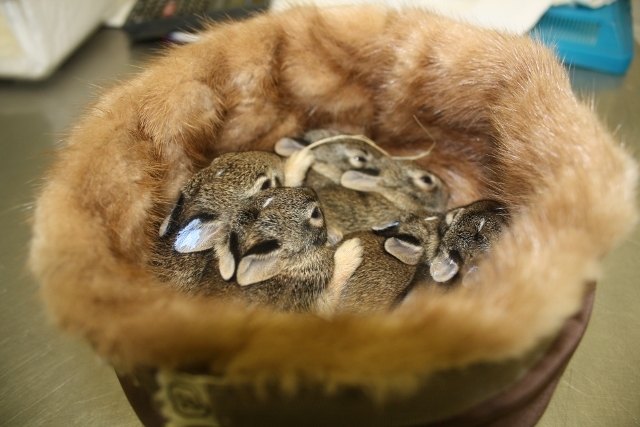 Earlier this month, the girls sewed, altered, and crafted several fur coats into smaller cushions and blankets specifically to comfort small, baby animals. Additional wildlife rehabilitation partners are encouraged to participate. Contact info@bornfreeusa.org for more information. Born Free USA commends the growing number of fashion retailers vowing to go fur-free. In July 2015, the luxury brand Hugo Boss announced it will remove real animal fur from its collections beginning with its Fall/Winter 2016 line. Hugo Boss is joining such brands as American Apparel, Esprit, H&M, Steve Madden, Marks & Spencer, and Topshop, among others, that have pledged to produce only fur free merchandise. 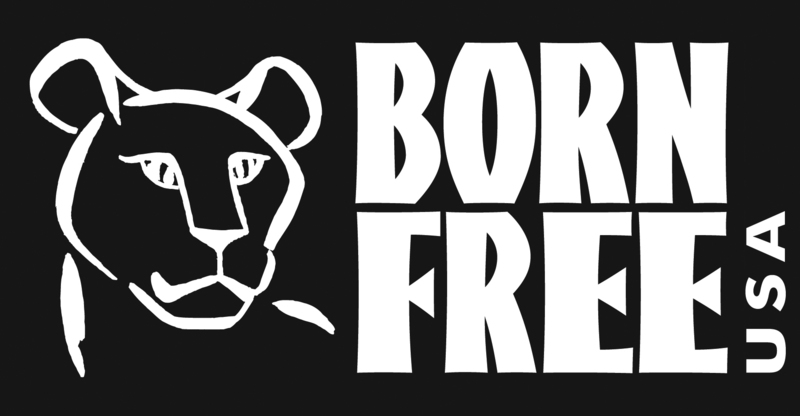 Born Free USA is a member of The Fur Free Alliance, an international coalition of animal protection organizations working to bring an end to the exploitation and killing of animals for their fur. The Fur Free Alliance represents more than 40 animal protection organizations in 28 countries and millions of supporters worldwide. Through litigation, legislation, and public education, Born Free USA leads vital campaigns against animals in entertainment, exotic “pets,” trapping and fur, and the destructive international wildlife trade. Born Free USA brings to North America the message of “compassionate conservation”—the vision of the United Kingdom-based Born Free Foundation, established in 1984 by Bill Travers and Virginia McKenna, stars of the iconic film Born Free, along with their son, Will Travers. Born Free USA’s mission is to end suffering of wild animals in captivity, conserve threatened and endangered species, and encourage compassionate conservation globally. More at http://www.bornfreeusa.org, http://www.twitter.com/bornfreeusa, and http://www.facebook.com/bornfreeusa. Wildlife Rescue Center in MO uses fur coats from Born Free USA Fur for the Animals fur drive to help orphaned baby animals. Photo by Kim Rutledge Mountain Lion rug donated to Born Free USA for campaign. 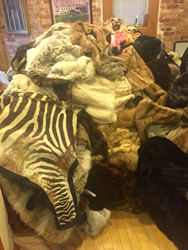 Photo: Born Free USA Unwanted designer fur items donated to Born Free USA Fur for the Animals Campaign. Photo: Born Free USAItems will support baby orphaned and injured wildlife.